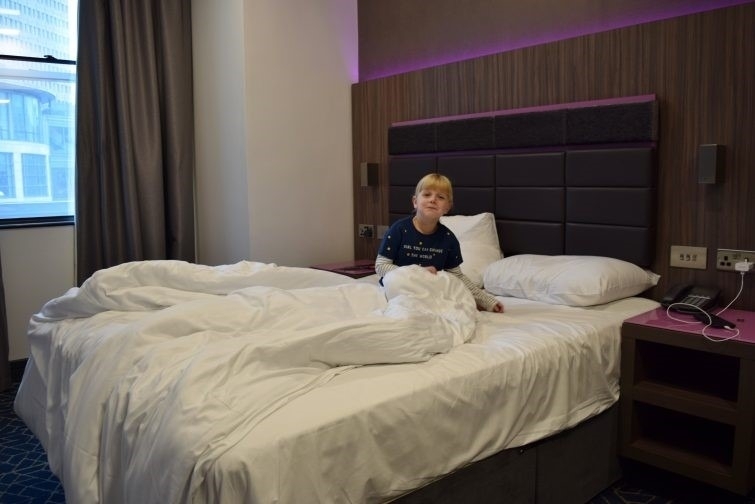 Staying in a hotel with young children can be hard work – sharing a bedroom and trying to get everyone to sleep at a reasonable hour is never easy. We’ve done the whole keeping them up a bit late so they’re really tired thing. We’ve also tried sticking to a normal bedtime routine. We’ve all gone to bed at the same time, and Dave and I have even resorted to hiding in the bathroom for the evening (oh joy!). We’re quite lucky on the whole that our three are pretty good at going to sleep and staying asleep, so the odd night or two in a shared room has been manageable in the past. 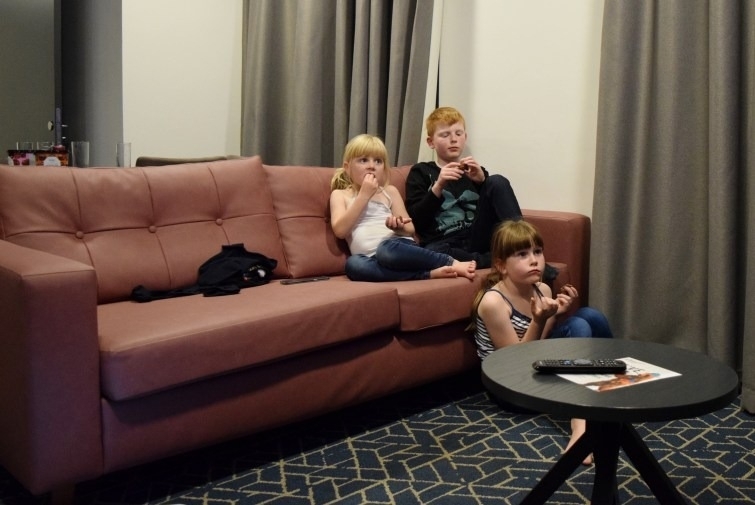 However we’ve now reached the stage where, as a family of five, we don’t fit into your average hotel family room. These usually allow for two adults and two children, plus a travel cot. As soon as the third child is out of the travel cot, they don’t allow you to use a family room, despite the fact that my girls are more than happy to share a single bed together. So where does this leave us? 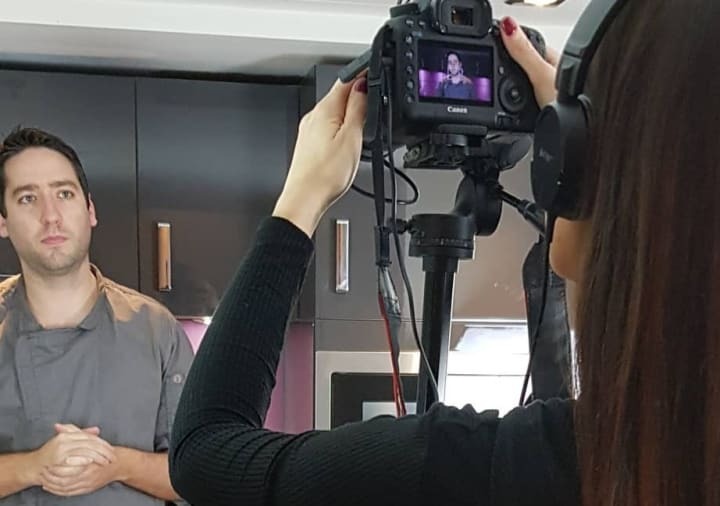 Well self-catering accommodation is an obvious answer, booking a cottage for a few nights to create a home away from home, but what if we want a more central location? What do we do then? Personally I think our children are too young to have their own hotel room, but Dave and I don’t want to have to sleep separately either. We stayed at the Manchester City Corn Exchange Aparthotel which is quite possibly one of the most centrally located hotels I’ve ever stayed in. 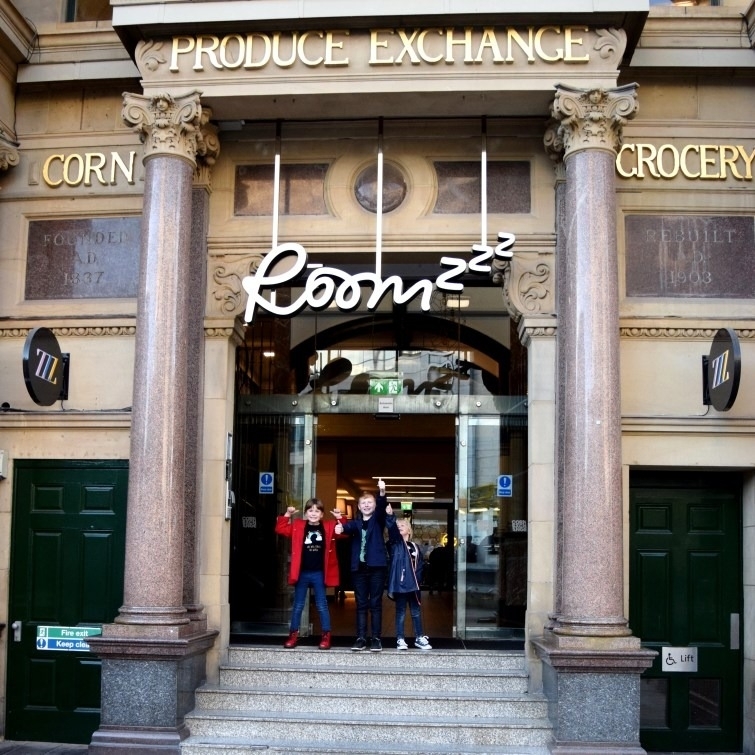 Right opposite the Exchange Square tram stop and within spitting distance of Manchester Victoria Station, the City Corn Exchange Aparthotel is ideally situated for a night at Manchester Arena or a shopping spree in the Arndale Centre. Selfridges and Harvey Nichols are only a stone’s throw if you fancy really splashing out, as is the rather cool Northern Quarter. 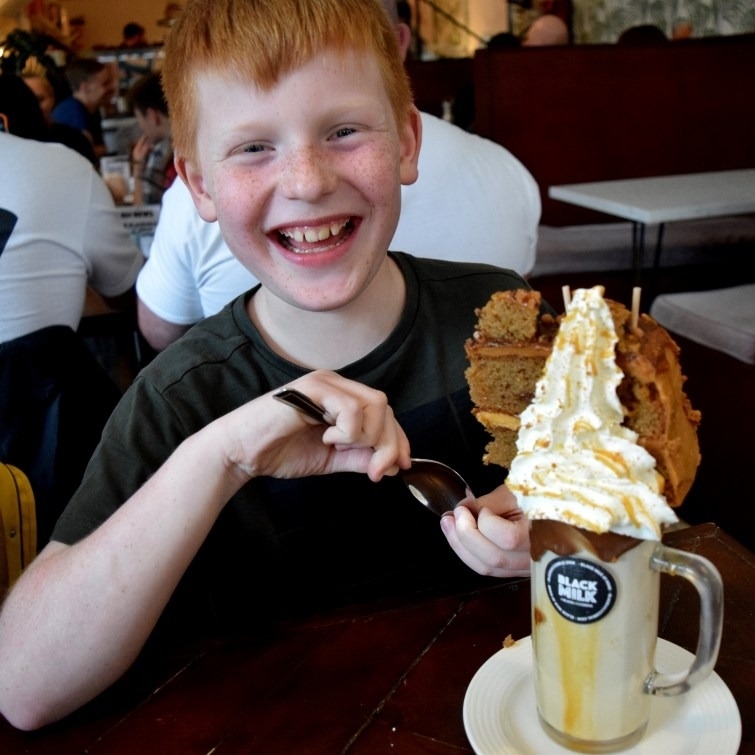 As we were staying with the kids we chose to visit the Science + Industry Museum, do some window shopping and we enjoyed a world of cakey goodness at Black Milk. The Manchester City Corn Exchange Roomzzz Aparthotel houses 114 spacious apartments within the iconic Grade II listed Manchester Corn Exchange (previously known as The Triangle). The Corn Exchange itself has been party to something of a makeover in recent years having been re-purposed from a shopping centre to a food and drink destination with 14 restaurants. 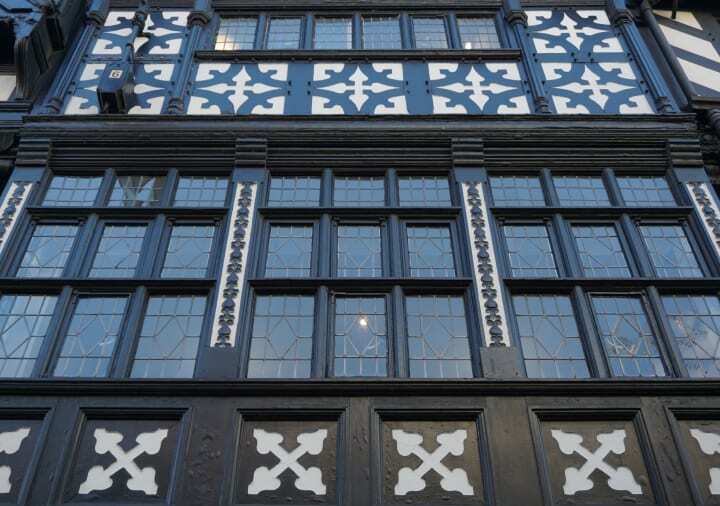 Both inside and out, the historical Corn Exchange building is a real beauty and Roomzzz have really embraced its history – this isn’t a standard chain hotel but one full of sympathetically restored and celebrated features. The incredible high ceilings and lighting in the entrance are a real sight to behold. We had two apartments with an interconnecting door. The children had a smaller room which had an extra single bed set up in it, an en suite shower room and kitchen space. The apartment Dave and I stayed in was much larger with a separate kitchen & living area (including a dining table and sofa) and a large bathroom with both a bath and shower. Having an interconnecting door meant that we all had our own space but we knew we could easily get to each other without the children having to wander the corridor. The living space was great as we were all able to sit and watch Strictly together on the sofa, or enjoy our meal without having to have a bed picnic! This was a big bonus for us! 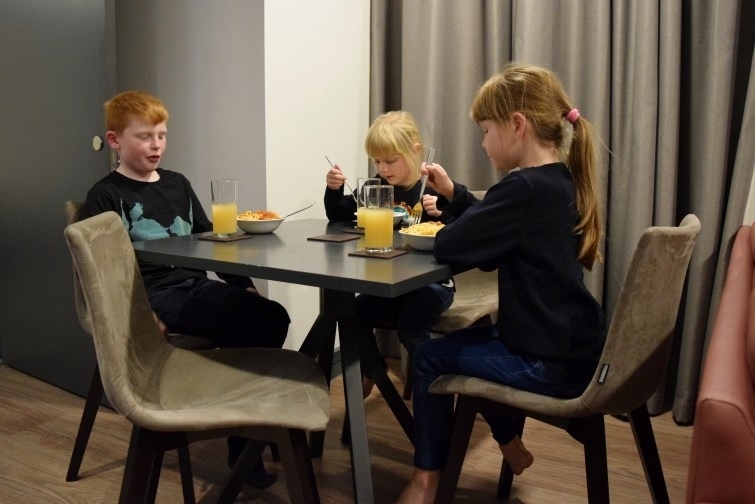 As I’ve said before, we often book self-catering accommodation when we’re travelling with the kids but it isn’t usually practical if you need a city centre location. Eating out with the kids can be expensive and if I’m honest it wasn’t something we really wanted to do in the middle of Manchester on a Saturday night, instead we treated ourselves to an M&S tea. 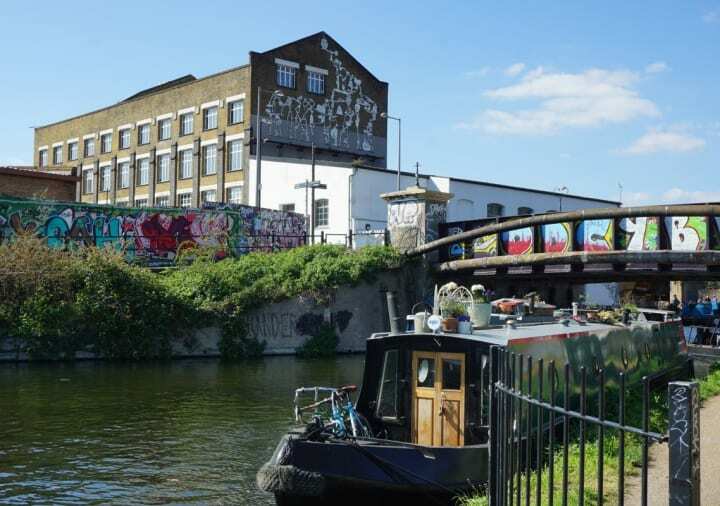 In my opinion, there’s nothing worse than booking a hotel room that looks really lovely online only to get there and find it looks a bit poky in real life! Our Roomzzz rooms were so spacious – plenty of room for swinging cats or whatever else it is you get up to on a family weekend away! In fact our room was so big that I actually thought we didn’t have a very big bed…nope, still a king size, just dwarfed by the bedroom itself! Peace and quiet aren’t really words you’d usually associate with a city centre hotel are they? We literally couldn’t believe how quiet our rooms were! Despite our apartments facing out onto a busy street with a main tram stop right outside, we never heard a peep from outside, thanks to two sets of double glazing on either side of a deep windowsill. The large windows had heavy, floor to ceiling black out curtains which didn’t let in even a chink of light – which is basically the dream when it comes to hotel curtains right? Not only did we not hear any noise from the street and restaurants below, but we never heard any of the other hotel guests either! Honestly, we were able to completely shut the world out and cocoon ourselves in our very own little Roomzzz bubble. 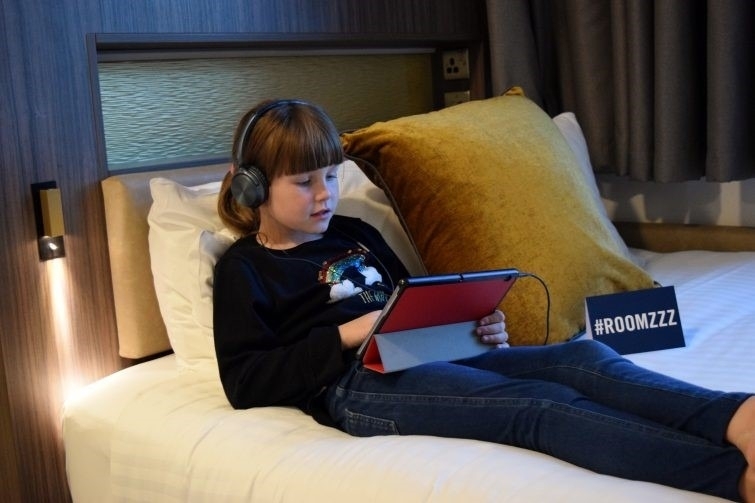 For our family, staying at Roomzzz Manchester City Corn Exchange offered us all the benefits of a city centre hotel in terms of location and convenience, with the comfort and relaxation of self-catered property. It really was the ideal solution. 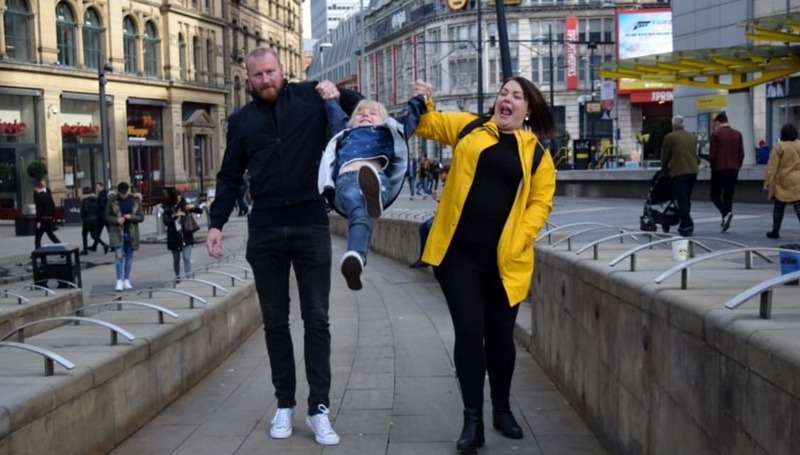 You can read more about our Manchester adventure here and book your own family get away here.